The donuts were so popular, they're coming back soon for another round! (WKBW) — The donuts were so popular, they're coming back soon for another round! The handmade powdered donuts filled with chocolate chip cannoli filling were on sale last Wednesday through Sunday. Paula's had trouble keeping up with demand. They even had to rent fridges to be able to store the extra cannoli filling. Even so, stores still ran out of the donuts multiple times. And when the donuts were in stock, people waited in lines for up to two hours to get their hands on them. Half of all sales benefited Hospice Buffalo. 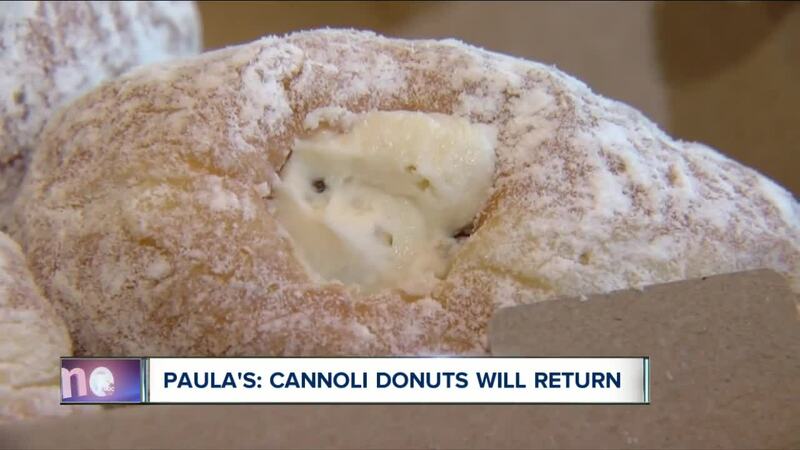 Paula's says it will start making them again after Easter.